We Are Conveniently Located on I-44, 20 Min from Six Flags-St. Louis, 20 Min from Meramec Caverns, 1 Hr from Downtown St. Louis. At the Super 8 St. Clair, We Pledge To Make Our Guests Visit With Us an Exceptional One. We Try to Achieve This by Providing Rooms With Facilities That Satisfies Each Guest. 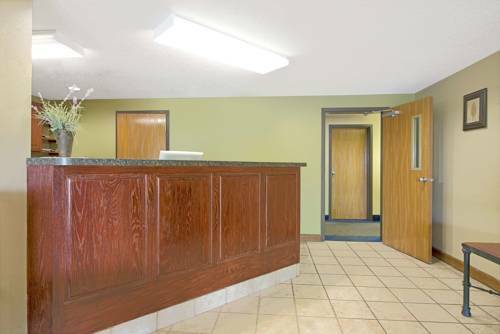 We Feature Free Wireless High Speed Internet Connection, Free HBO and ESPN, Free Local Calls, In Room Coffee, Hairdryer, Large Hospitality/Conference Room, Guest Laundry Room. In Addition One Can Enjoy Our Superstart Breakfast In Our Spacious Breakfast Room. Pets Allowed -10.00 Dollars per Pet per Night. Our Friendly and Knowledgeable Staff Will Ensure That Your Every Stay at the Super 8 St. Clair is Comfortable and Convenient. ~16 miles from Saint Clair. ~42 miles from Saint Clair. ~44 miles from Saint Clair.